In the framework of the European project ERIGrid, the Smart Grids Research Unit - Smart RUE of ECE-NTUA hosted a one-day workshop entitled “Advanced power system testing using Hardware in the Loop simulation” on the 23th of November 2018 at the Central library of NTUA. The event was attended by 50 participants from academia, research institutes and industry from 12 European countries. The workshop demonstrated the benefits of Hardware in the Loop (HIL) simulation for power system testing, especially in today’s shift towards smart grids. Hardware in the Loop simulation allows the connection of hardware equipment (e.g. protection relays, photovoltaic inverters) to real-time simulated power systems. 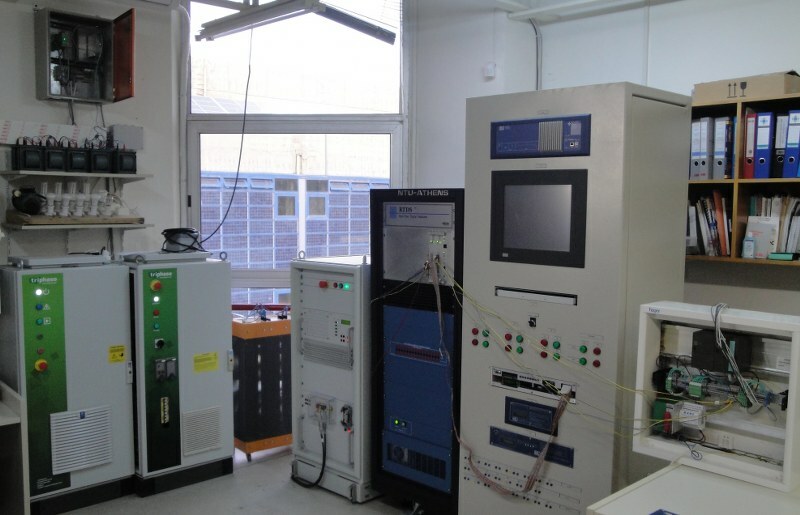 In this way the equipment-under-test can be thoroughly tested in realistic and flexible conditions, while interacting with a simulated power system. Key features of Hardware in the Loop simulation were explained, along with a variety of modern power system applications. Furthermore, the participants had the opportunity to visit the Electric Energy Systems Laboratory of ECE-NTUA, where live demonstrations of several advanced Hardware in the Loop experiments were performed. More information about the ERIGrid project here.